Did you know Central Exchange has a catering company? We do – it’s called Central Catering Co. — and it’s perfect for your office. Why? 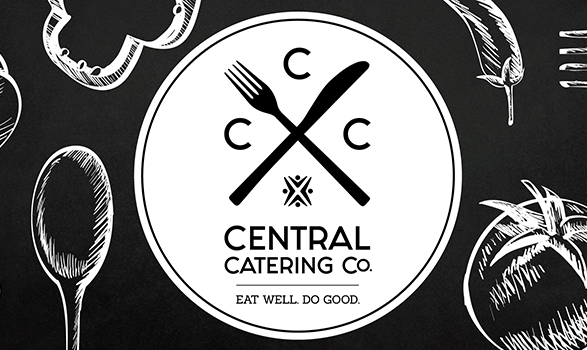 Read on for the top 3 reasons to go Central Catering Co.
1. You deserve better office luncheons. Trust us, we love a good pizza and deli sandwich. But sometimes, you just need a lunch that won’t leave you with those afternoon regrets. We’ve got you. 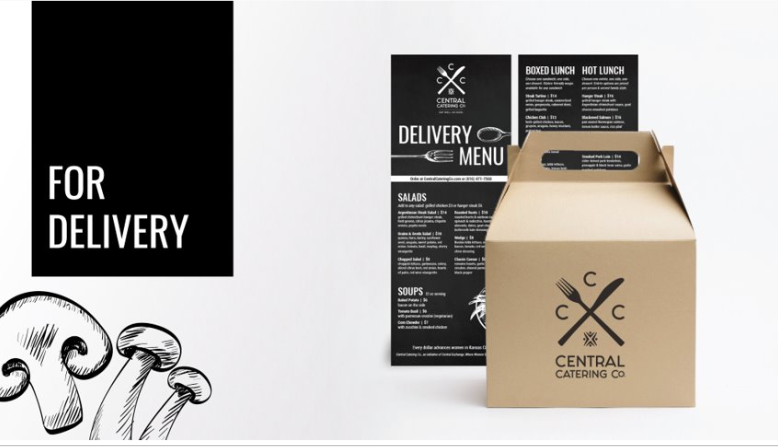 Central Catering Co.’s delivery menu features amazing lunch options that include the words “grilled chimichurri hanger steak“, “quinoa, farro, barley, sunflower seeds,” “herb-grilled chicken, bacon, gruyere“. We’re not drooling, you are. Priced from $8-14, you can grab a quality meal at a reasonable price. Pick up or delivery available for the KC Metro. 2. Upgrade your corporate trainings. At Central Exchange, we’re all about owning your career. And that includes growth and learning. If your company puts on trainings, professional development or offsite events – first of all, ?– bring them to Central Exchange. Our space is located in the beautiful historic downtown firehouse. You’ll have access to all the training musts like projectors, tables, and best of all, food. Your attendees can enjoy Central Catering Co.’s breakfast, lunch and dinner menus name which are off the charts. 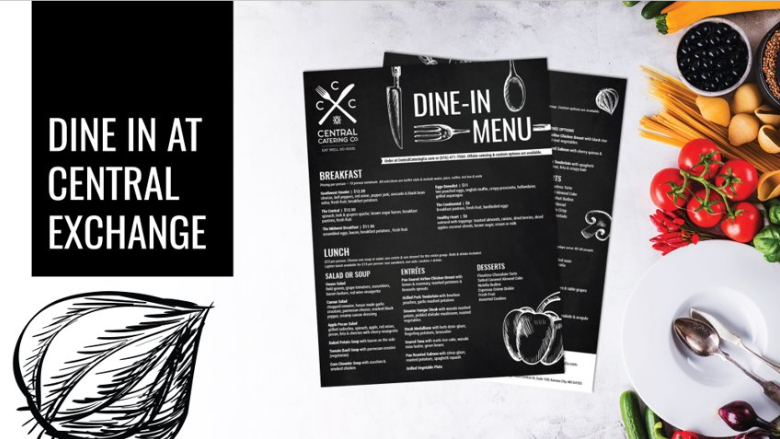 Dare we quote from our full dine-in menus? “Seared Tuna with sushi rice cake, wasabi miso butter“, “Bourbon Glazed Berkshire Pork Chop with peaches, wilted greens & almonds“, “Pan Seared Halibut with lemon herb polenta, smokey spinach, onion compote.” (**still drooling**). 3. Eat well. Do good. Win-win. Thirty-eight years ago, women weren’t allowed into the Kansas City Club or University Club – places where men conducted business. That’s when Central Exchange started. 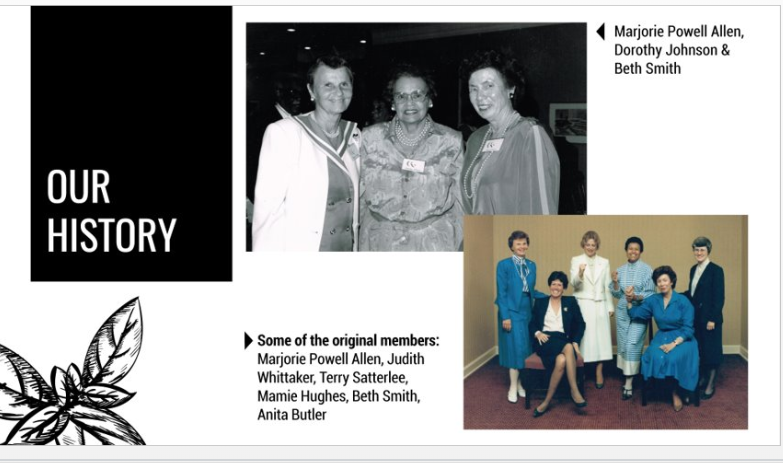 Our founders believed in the power of professional women. With both women and men at the table, we can accomplish so much more than we can alone. Today, we have a thriving mission and more than 800 members. With each order from Central Catering Co. – with each bite – you’re helping advance women in Kansas City. Every dollar funds our mission of empowering and cultivating women leaders. Good food + empowering women. What’s not to love about that? Ready to Eat Well + Do Good? Great! Custom creations + season options are available. Need something specific? Give us a shout, and we’ll create the perfect solution for your needs.